I don’t usually buy cabbages like this. Winter cabbages are so hard and have a strong, almost bitter taste. 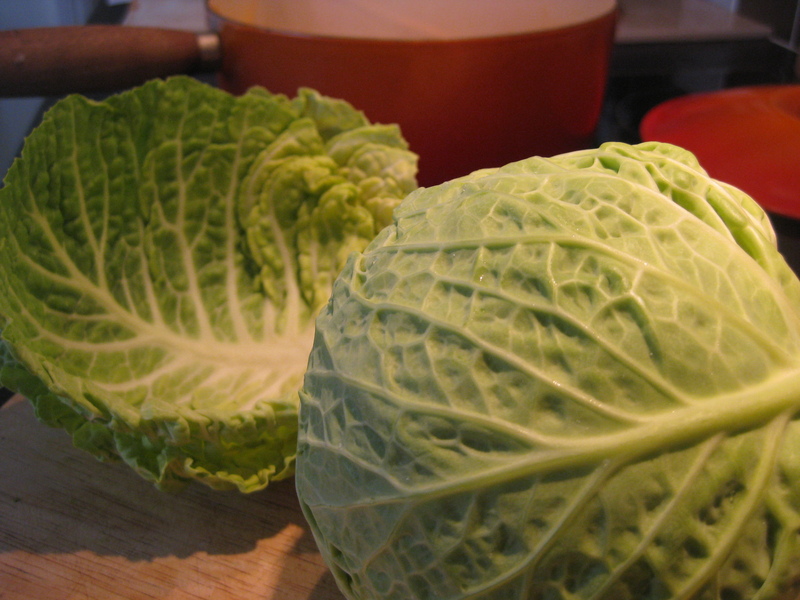 I usually use the Chinese Cabbage which is a softer flavour and texture perfect for stir fries and light sauteing. Seriously though, I do actually, thankfully, love cabbage and this is an easy soup to make and is nutritious too. The original recipe contains potato and I found it in the fraudulently titled ‘Good Food Magazine’ and happened to be the only interesting thing in the whole magazine. Sorry England, but your food mags aren’t much chop. I do miss the good old Delicious, Donna Hay and Gourmet Traveller. I’m yet to find an equivalent here. I have kindly removed the potato from the equation for the ‘Paleo’ minded, but feel free to replace with the much less starchy sweet potato, or even some butternut squash. The sweetness works nicely.You can obviously add whatever vegetables you like to this, it’s really just the basis for hearty winter vegetable fun. Saute the chorizo slices in a big sauce pan. Remove when done. Saute the onion and garlic in the oil from the chorizo. Add any chilli you want to use, and cook off briefly. Add stock, chorizo and any potato or sweet potato and simmer for about half an hour. 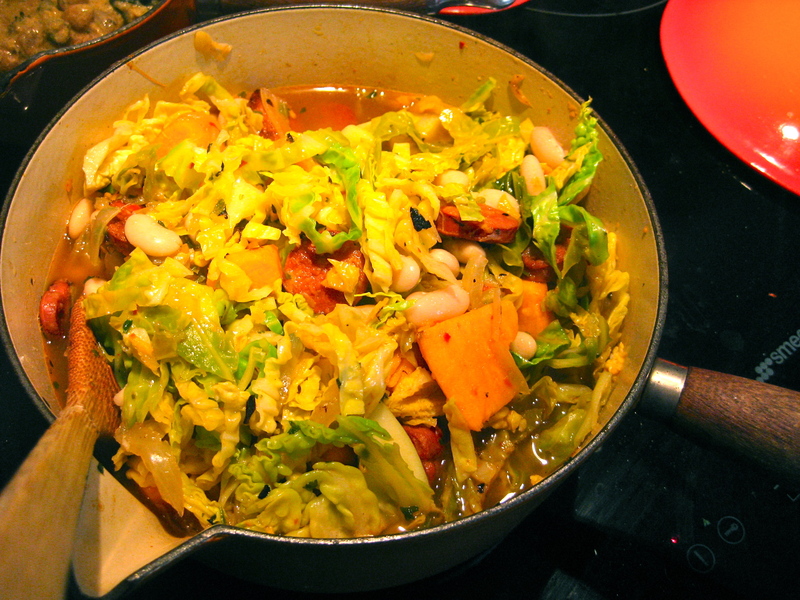 Simmer till the cabbage is cooked to your liking.